When planning a butterfly garden one typically thinks of planting flowers. But did you know that trees are some of the best plants for attracting butterflies? There are many different trees that attract butterflies, both as a source of nectar and as a host plant for caterpillars. 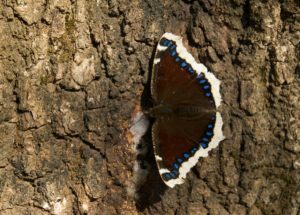 Trees also provide butterflies protection during bad weather as well as a place for them to perch during the day and to roost during the night. Female Eastern Tiger Swallowtail (Papilio glaucus) is attracted to the sweet blooms of the American Plum (Prunus americana). Three common species of trees that support dozens of butterfly species and hundreds of moth species include oaks, willows, and chokecherries. Gardening for Butterflies calls these three trees “Keystone Trees” because attract multiple species of butterflies. Oaks (Quercus spp.) 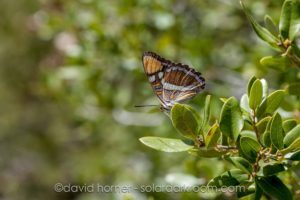 support many different species of butterflies including the myriad hairstreak and duskywing species as well as the California Sister (Adelpha californica) and the Arizona Sister (Adelpha eulalia). Oaks also support the Imperial moth (Eacles imperiali), the Polyphemus moth (Antheraea polyphemus) and the Rosy Maple moth (Dryocampa rubicunda) in addition to others. A Mourning Cloak (Nymphalis antiopa) is sipping on the sap of an oak tree. There is such an incredible diversity of oak species that exist across the entire North American continent, many which are small shrubs that can be used to add to your landscape. Some examples are the California Shrub Oak (Quercus berberidifolia), the Gambel Oak (Quercus gambelii) found in the Southwestern deserts into the Great Plains, the Turkey Oak (Quercus laevis) of the Southeast and the Scrub Oak (Quercus ilicifolia) of southeastern Canada and northeastern United States. The Chokecherry (Prunus virginiana) is another tree that is distributed throughout much of the United States and southern Canada and is quite adaptable to various soil types and planting conditions. Chokecherry attracts widespread species of butterflies, both as a host plant for caterpillars and as a source of nectar for butterflies. 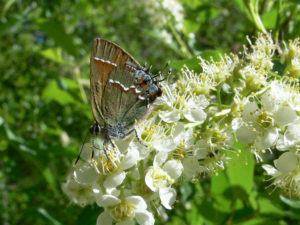 Among the butterflies that use the Chokecherry as a host plant are the Lorquin Admiral (Limenitis lorquini), the Tiger Swallowtail (Papilio glaucus), the Two-tailed Swallowtail (Papilio multicaudata), the Spring Azure (Celastrina ladon) and the Coral Hairstreak (Satyrium titus). Chokecherry blossoms in spring are a good place to look for butterflies in search of nectar, as is this Juniper Hairstreak (Callophrys gryneus). NPS photo by Sally King. Various willows (Salix spp.) 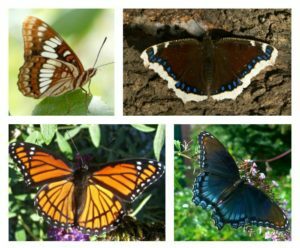 are host plants for the Viceroy (Limenitis archippus), Mourning Cloak (Nymphalis antiopa), Red-spotted Purple (Limenitis arthemis astyanax), Tiger Swallowtail (Papilio glaucus), and the Lorquin’s Admiral (Limenitis lorquini). Willows are found in every part of the United States and Canada, with locally-appropriate native species available for any butterfly garden. These awesome trees are fast growing and will tolerate many soil types. They come in a variety of sizes and shapes. Most willows do well in full-sun and moist environments. 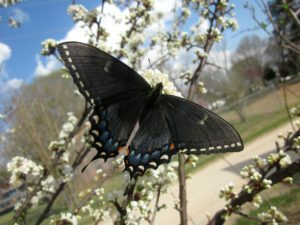 Willow trees attract many different species of butterflies including Lorquin’s Admiral (Limenitis lorquini), Mourning Cloak (Nymphalis antiopa), Viceroy (Limenitis archippus), Red-spotted Purple (Limenitis arthemis astyanax). 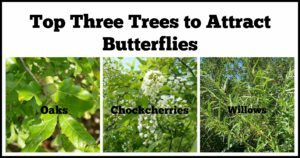 Gardening for Butterflies calls these three trees “Keystone Trees” because attract multiple species of butterflies. 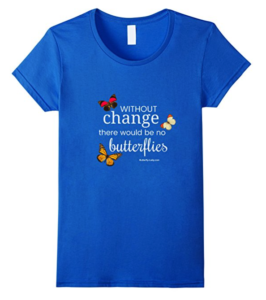 Click Here or on the photo to see more of the book, Gardening for Butterflies.